Craft Fair Saturday 14th March 1pm to 5pm Free Entry. 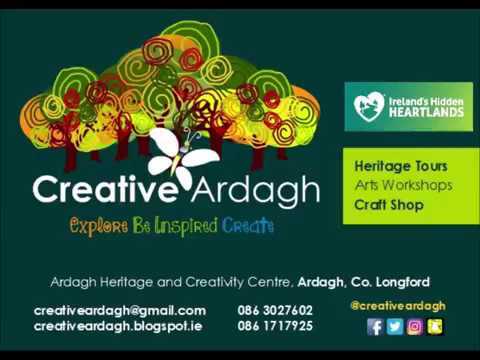 Come along and browse the wonderful selection of handmade crafts in the picturesque setting of Ardagh Heritage and Creativity Centre in Ardagh Village. You might get a beautiful present for Mother's Day on Sunday or just something lovely for yourself. Tea and Coffee on sale on the day. 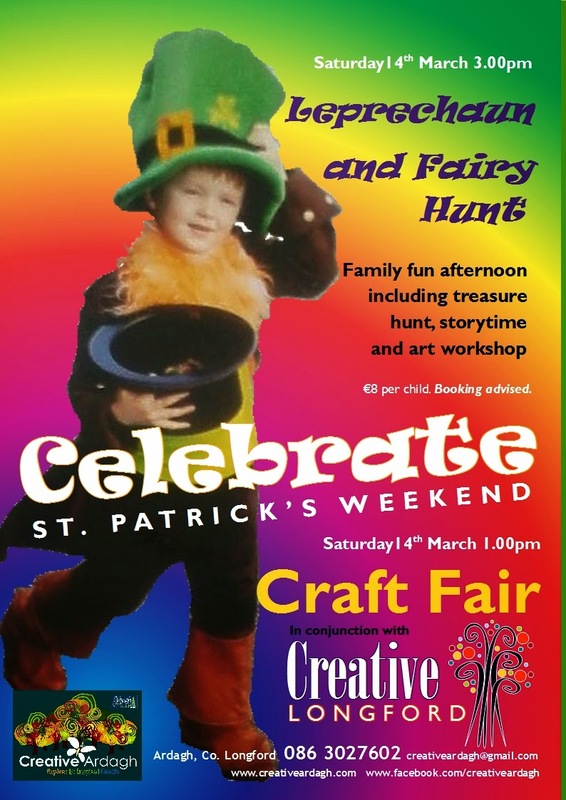 If you are looking for some family fun you can join in with the Leprechaun and Fairy Hunt and Arts and Crafts Workshop at 3pm Saturday 14th March. (Booking essential for this workshop as spaces limited).€8 per child for workshop. Join us for lots of family fun this Easter weekend at 3pm on Saturday 4th, Sunday 5th or Monday 6th April. 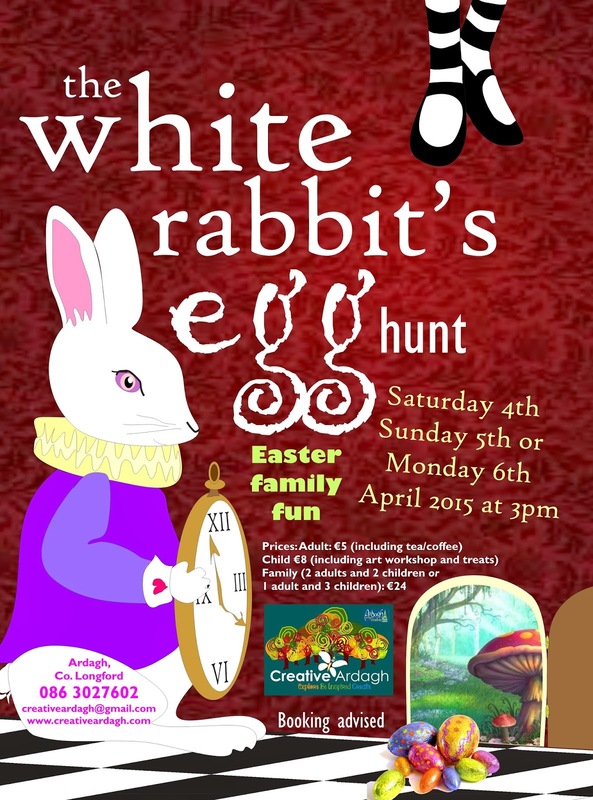 Follow the white rabbit down the tunnel, join him on an egg hunt and take part in an Easter themed art workshop. 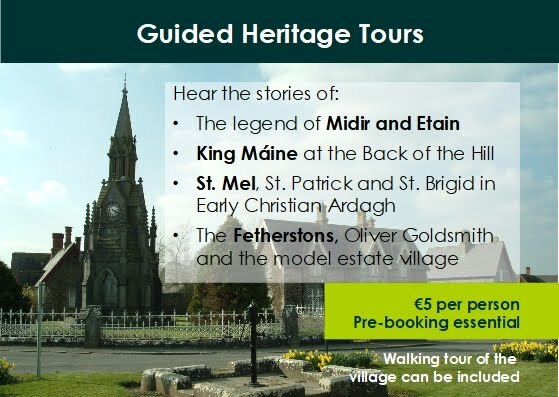 Adults €5 (including tea/coffee), Child €8 (including art workshop and treats), Family (2 adults and 2 children or 1 adult and 3 children) €24. Early booking advised.